Science Fiction first contact short story submitted to the Writer’s of the Future Award in 1987. It didn’t win but came close and was awarded an Honourable Mention and a hand-written note from L. Ron Hubbard. 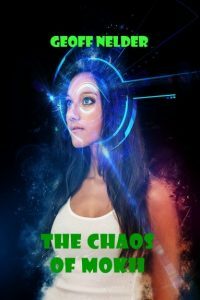 Note this story is nearly all dialogue, the reason for which becomes clear in its reading. We do not have a home planet in the same sense that you seem to have. We do not need to have a solid base. Our kind gather as a home location. Is there some resource you are exploring for? ‘I agree. This lot will not return empty handed but their thirst for knowledge could help us to get them away from our base. I have to do some persuading to let one of us go back with them. We must both have concepts that are not mutual. We are prepared to share our knowledge with you. ‘It was a good try Zatl. Zatl? ‘I felt the detonation. Were they not pleased that you offered to go with them, Zatl? ‘Were you able to get into one of their containers with them, Zatl? ‘Base said we are all to relocate: it’s getting too busy around here. ‘Zatl, they’re going to send a team to those co-ordinates you got. So you will have some company for when you come back won’t you, Zatl? 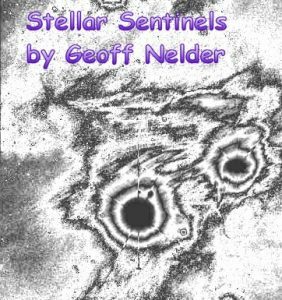 The post #free #story STELLAR SENTINELS appeared first on Geoff Nelder - Science Fiction Writer.